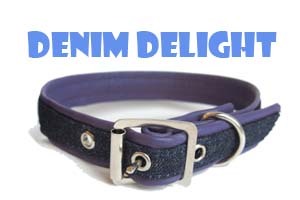 Choose any of our vibrant leather colours for this pure and simple everyday collar. Introducing our new Pure and Simple metallic everyday collars. in stunning Silver or gold nappa with matching buckles and D rings. 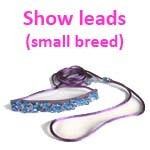 A simple addition to our pure and simple collars. We've added pretty Swarovski crystal rivets. Perfect for when you need a hint of bling! These stunning vibrant tartan woven fabrics backed with matching leather. A contemporary twist of tradition! As we all know, animal in alway in fashion! 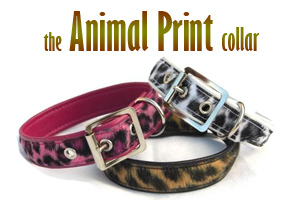 Choose from three gorgeous colours, PINK LEOPARD, LEOPARD OR SNOW LEOPARD. 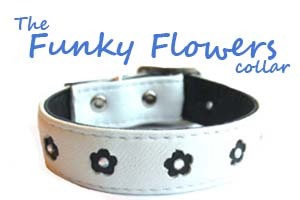 Pretty two tone collars with Flower cut out design. Embellished with a matching crystals in the centre of each flower. 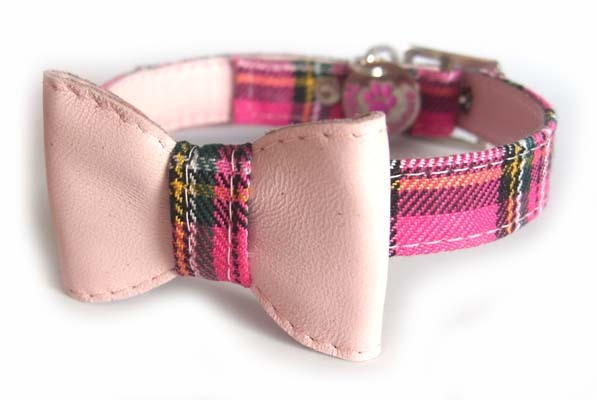 Choose your own colours to personalise this collar. Flower power at it's best! Add a crystal leather bow to complete the look or keep it plain and simple for everyday use. 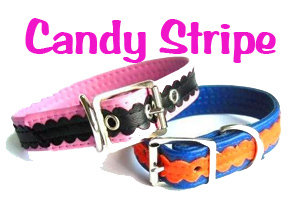 This fun and funky collar for hardy everyday use. Everybody loves a stripe...this is a fashion classic with a twist! 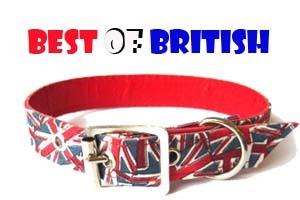 A classic patriotic collar with contemporary Union Jack fabricbacked with soft red nappa leather. 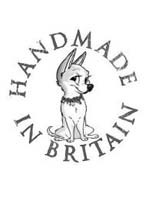 A great everyday collar... we are proud to be British. 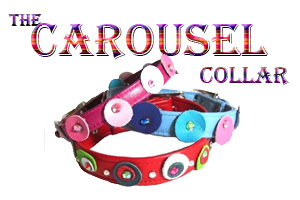 This fun collar inspired by the fair ground carousel. With multicoloured leather circles and rhinestone crystals. 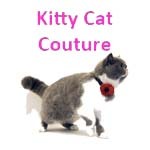 Two fabulously patriotic collars at a great price!